Planning a large convention in the Toronto Area? We understand the pressure you are under so that your guests arrive and depart on schedule. 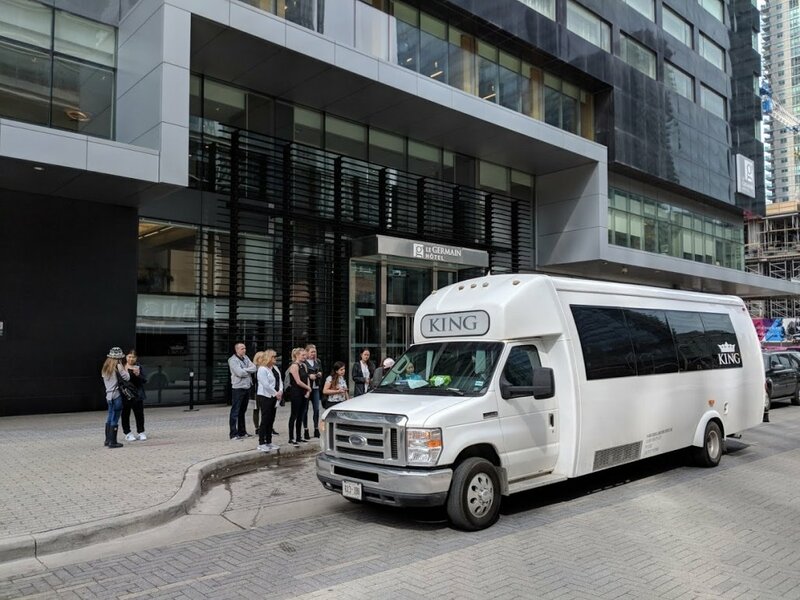 King Charters buses can accommodate almost any group, regardless of the size. 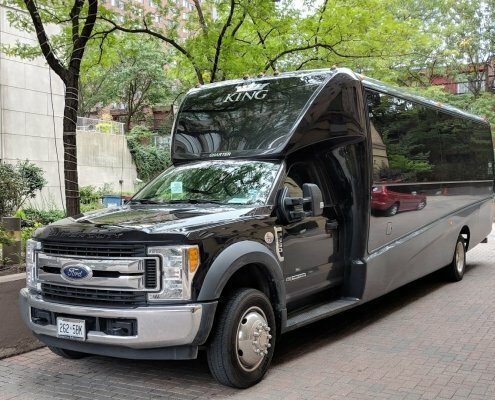 Our team of experts has experience working with both large and small event planners, offering many different charter bus rentals to make sure your event is a success. 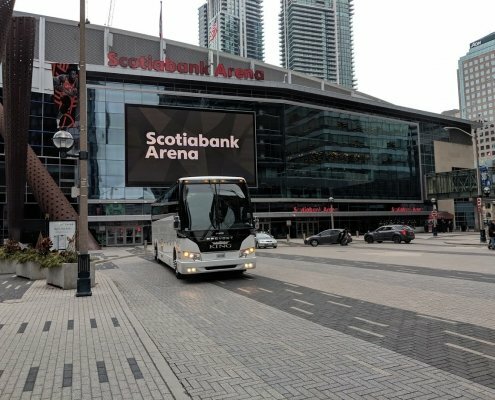 We specialize in transportation for the Metro Convention Centre, Enercare Centre, Beanfield Centre, International Centre, Toronto Congress Center, Mississauga Convention Centre, Pearson Convention Centre. 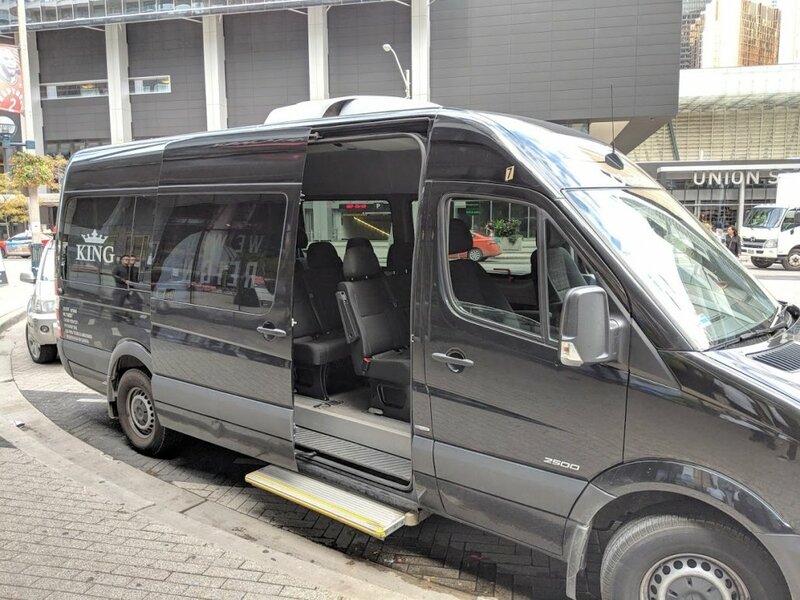 We understand how much planning goes into meetings, outings, training sessions, promotional events, conferences, and more without worrying about charter bus rentals. 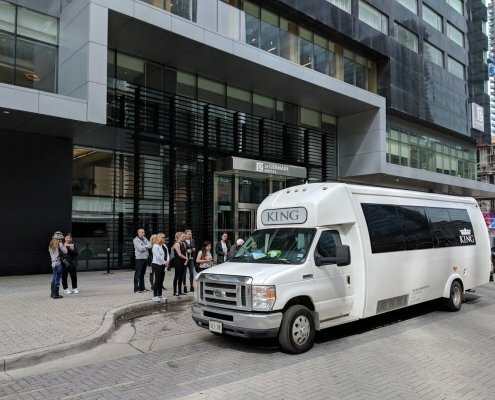 King Charters bus services will take the hassle out of renting a bus. We can handle small group outings to large conventions, offering a variety of corporate charter bus options. You will deal directly with our sales manager (not owner/driver) whose sole responsibility is for your transfer to be done right. We will work with you or your wedding planner to make sure all special requirements are met and no detail is overlooked during your rehearsal dinner, bachelor(ette) parties, and more. Our charter bus service will help make your special day, memorable. 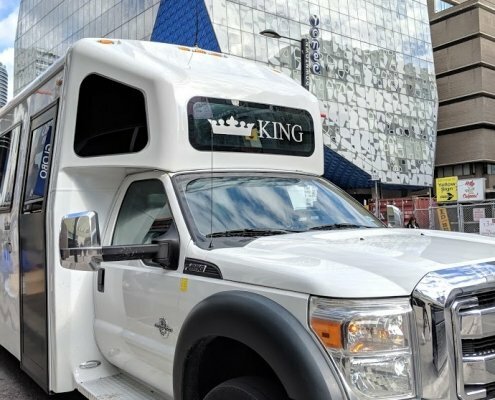 Athletes and Coaches can count on King Charters to provide safe, reliable, and affordable transportation to every game. 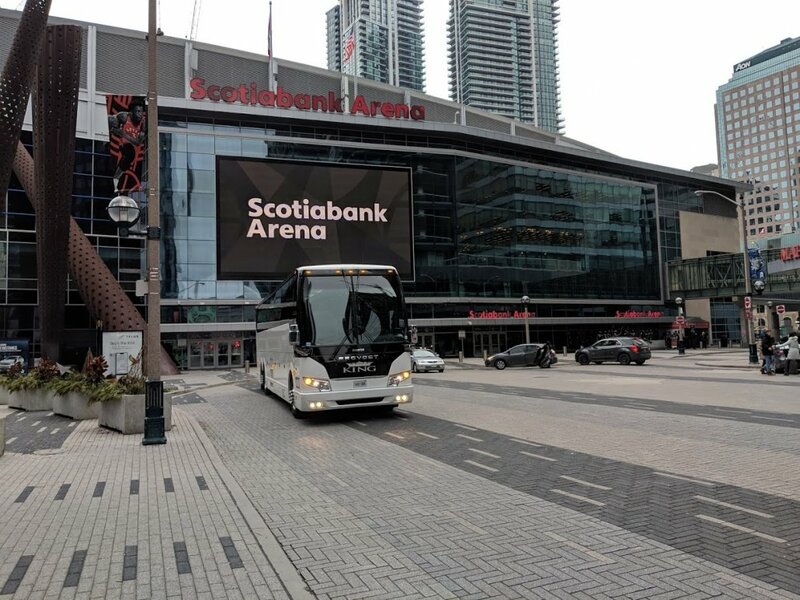 King has experience providing charter bus services to professional teams, university teams, high school teams, athletic events, and even transporting the Stanley Cup. We offer a wide range of travel options for University and College trips in Canada with the best rates in the country for student fares. We also possess one of the best safety records which make us the best choice for student travel. Sightseeing tours are a great way to see Toronto, Niagara Falls, Ottawa or the 1,000 Islands. We would love to be your independent group travel partner. You can organize your own group and charter a bus with us, or just join one of our own existing tours. 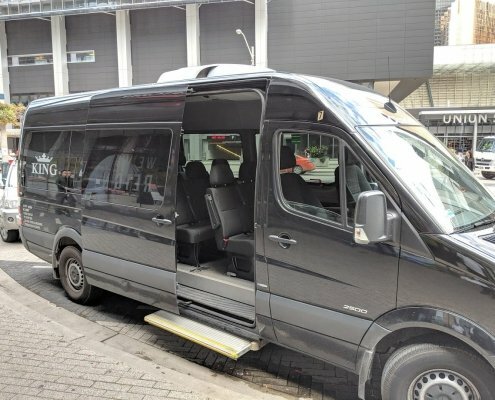 Need to transport your flight crew to a Hotel? Need an economical way to shuttle staff to and from work? Our shuttle bus service can help. Ride with us to the best skiing resorts in Ontario and Quebec. We have regular ski trips to Blue Mountain and Snow Valley. We teamed up with the resorts and can offer special ski rental rates for University Student groups and skiing enthusiast. 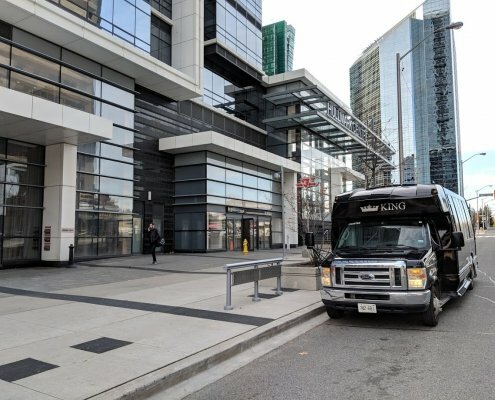 King Charters is bus transportation company located in downtown Toronto. 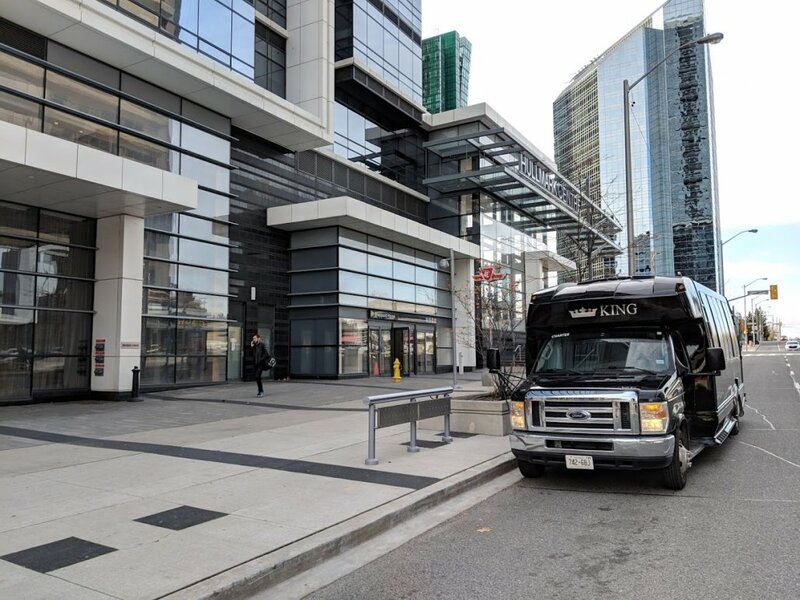 Our office is at 296 Jarvis St, and our bus fleet is located in downtown Toronto near Cherry St. and Lakeshore Blvd. King Charters has a fleet of 56 and 57 passenger coach buses. Models include MCI and Prevost. King Charters has 40 passenger buses. These buses are smaller than 56 and do not include a toilet on-board. King Charters has several different models of 28 passenger buses. 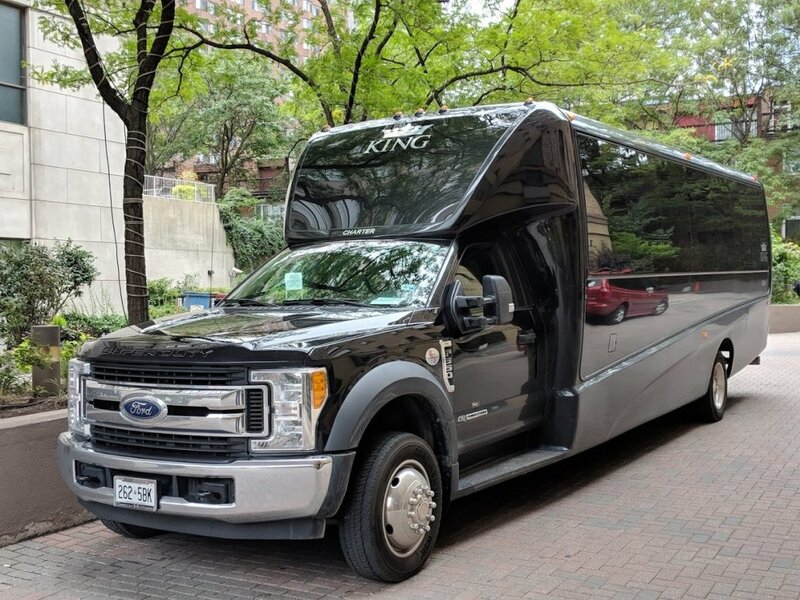 King Charters has 25-27 passenger limo buses that are perfect for weddings, bachelor parties, bachelorette parties, and special events. King Charters has 24 passenger buses. Some include luggage storage others do not. King Charters has a large fleet of black Ford and Mercedes Benz Sprinter vans. 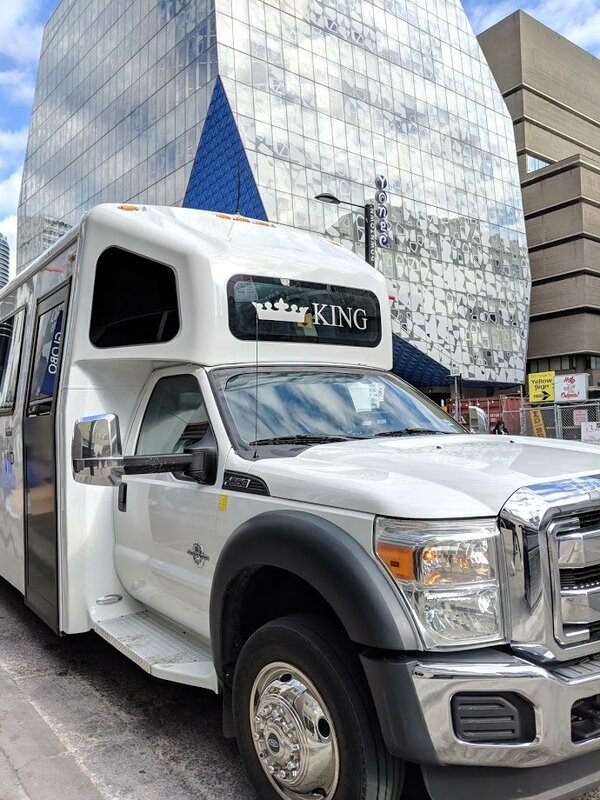 King Charters’ has a limo transportation division. We have a fleet of sedans, suvs, and limousines. We use King Charters often to support our transportation needs for our business. The King Charters team provide an outstanding service that include strong communication and excellent customer service. I am always impressed at their ability to deliver even if the request is last minute. I’ve been working with King charters on a daily basis for many years now. Their attention to details and their flexibility make them the best in the transportation business. It’s a real added value for my company to be able to count on professional suppliers as King Charters. I use King Charters regularly for both professional and personal use. The service is phenomenal, vehicles clean, punctuality is great and the drivers are very friendly and helpful. I would highly recommend them to anyone. I have came across King Charters when I was in desperate need of a bus and they have delivered at a very short notice. Since then I have used King Charters on several occasions! From day one, Norbert has been more than helpful and very accommodating. Our guests really love the buses and the service! Need a bus quote? Complete the bus quote form!